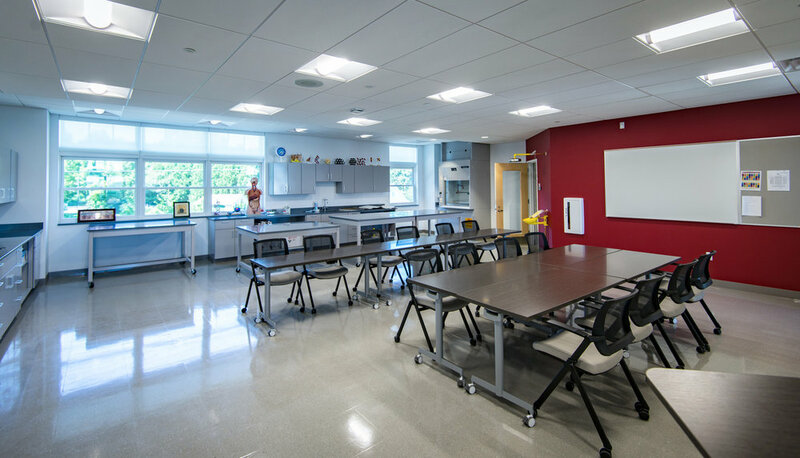 Morristown-Beard’s new 25,000 square foot Math and Science Building replaces the previous math building and temporary classrooms on the northwest side of the property. 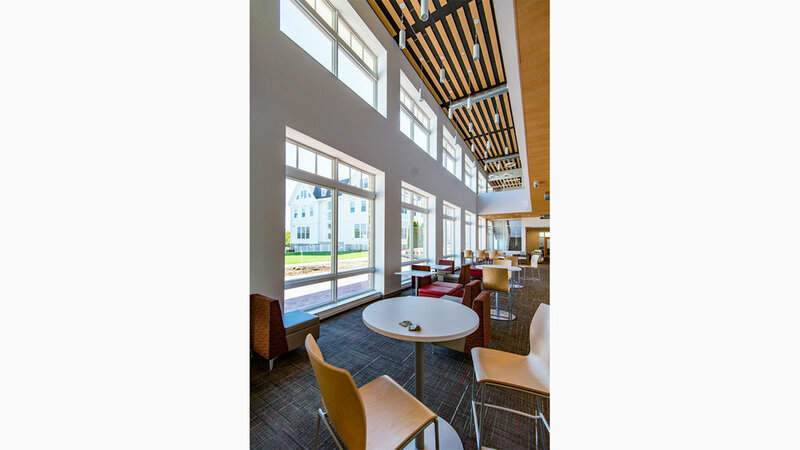 It connects to the existing dining hall and relocates the science department into a new shared academic facility. 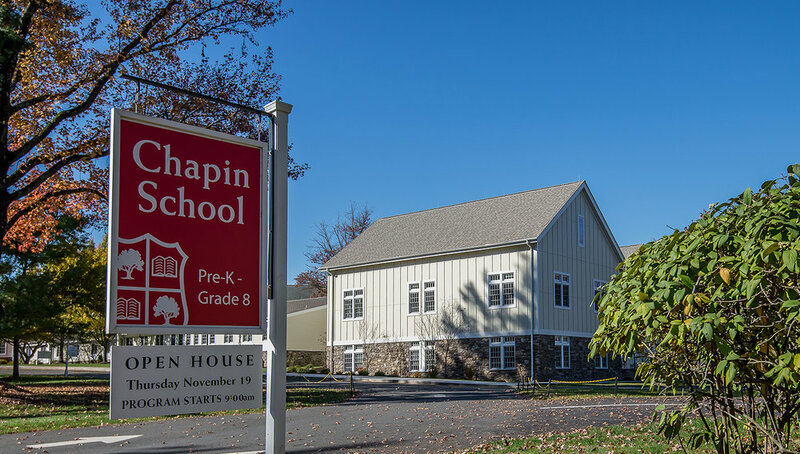 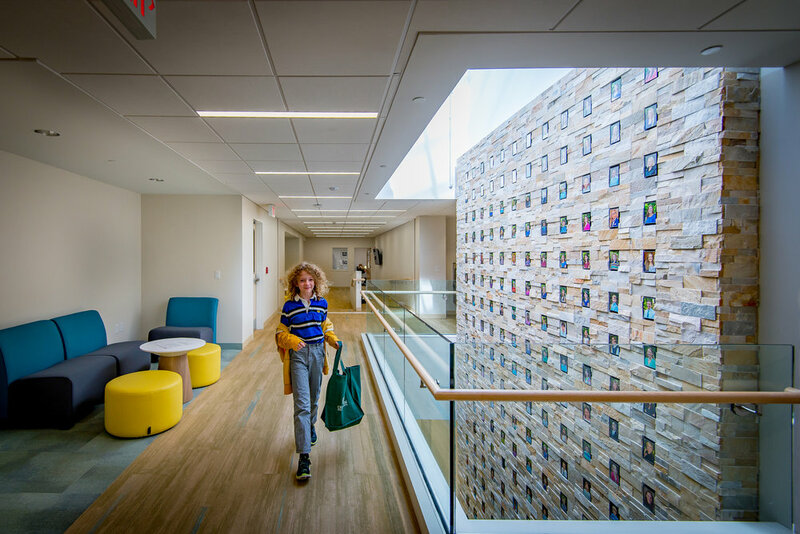 The new building is designed to complement the existing building’s traditional vernacular and includes a large two-story commons for student collaboration overlooking a newly enclosed campus quad.